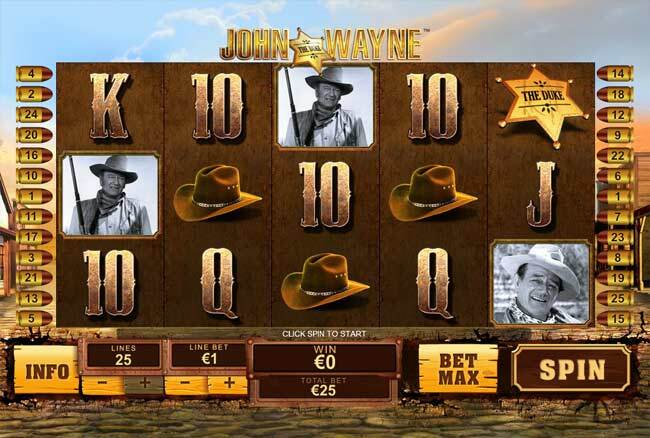 The object of John Wayne online slots is to obtain a winning symbol combination by spinning the reels. Playtech continue with their Hollywood superstars themed slots machines with the follow up to Marilyn Monroe. 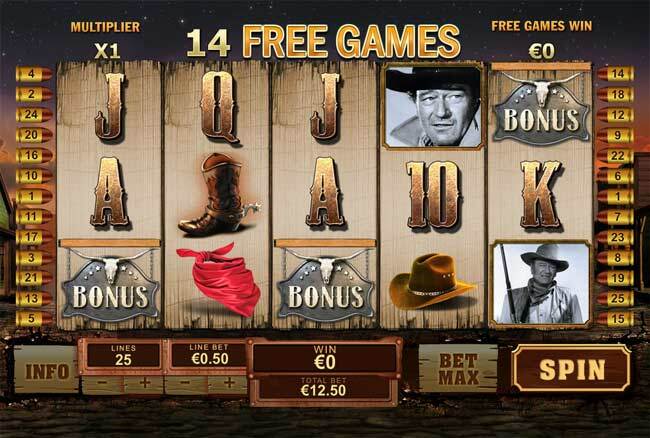 John Wayne Slots offer 25 paylines over 5 reels and a couple of bonus games that help the payout rate. Playtech always produce great games and this is no exception. There are bionus features such as wilds and scatters as well as the DUKE BONUS, when you spin the reels and get 3 or more Duke badges scattered on the reels you get to choose a badge and reveal an instant cash prize. There is then the John Wayne Ranch Bonus. You will be faced with 21 tin cans in a traget practice range. You get your six shooter with six bullets and shoot at the tin cans. 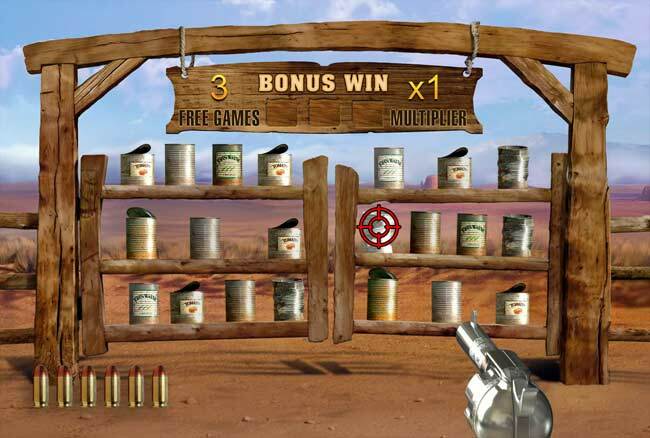 Each can that you hit will reveal a number of free spins, a multiplier, extra bullets , or extra wilds. Shoot your way to a big total and get the free games with multiplier awarded. This is a great game with 2 fabulous bonus features. It is sure to be a winner. You can play this immediately by using the download button above. Choose your coin size by clicking the + and - buttons on the right of the screen.